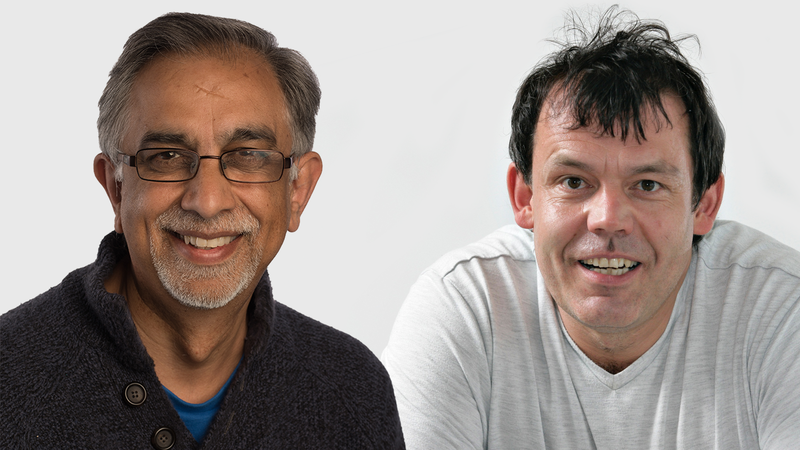 Professor Anton Gartner has received £750,000 of funding while Professor Hari Hundal was also awarded more than £630,000 for a joint project with Robert Gordon University. Of this, £411,233 will be used to fund the Dundee component of the research. Three Postdoctoral positions will be created at Dundee’s School of Life Sciences as a result of both awards. Professor Gartner said, “This is a generous award which will allow us to work out a ‘last chance saloon’ mechanism that allows cells to fix DNA linkages between separating chromosomes just before cells divide. Support for two postdoctoral positions will allow us to work out the details of this mechanism. Professor Hundal’s research focusses on cell signalling in relation to diabetes and obesity. The over-arching aim of the BBSRC-funded project is to explore links between a lipid-sensing protein, called GPR55, which is present on the blood-facing membranes of fat, liver and muscle, and processes influencing adiposity (fatness), inflammation and responsiveness to insulin within these tissues. “BBSRC funding is highly competitive and sought after,” said Professor Hundal. “Consequently, I am delighted to have been awarded this grant, which represents the third successive tranche of support that my group has received from the research council in recent years. The BBSRC is part of UK Research and Innovation, the body set up to work in partnership with universities, research organisations, businesses, charities, and government to create the best possible environment for research and innovation to flourish. The organisation invested £498 million in world-class bioscience in 2017-18 and supports around 1600 scientists and 2000 research students in universities and institutes across the UK.